I'm so proud of my girls, Shawanda and Tisa, founders of The Melissa Monét Agency. Big Things!!! 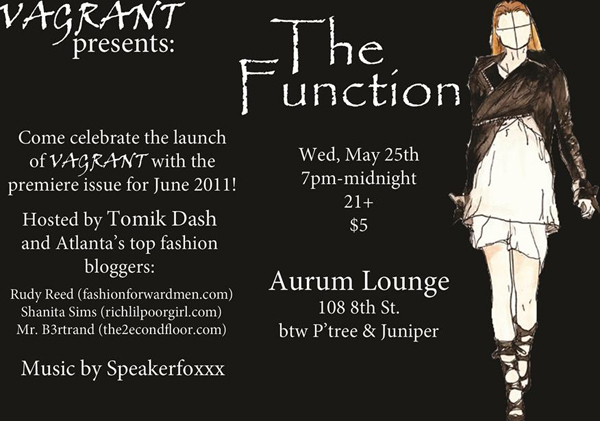 Come celebrate the June 2011 launch of VAGRANT magazine with Atlanta's most fashionable people! On Foursquare? Check-in @ Aurum Lounge on May 25th and get a $3 glass of champagne! Click here to log-in to Facebook & RSVP. You may also send an email to rsvp@melissamonetagency.com.